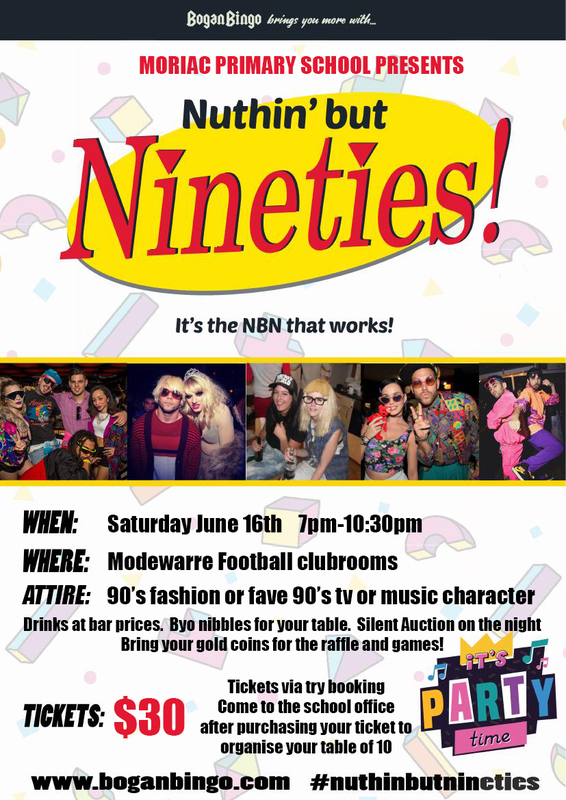 MPS Parents & Friends present - Nuthin' but Nineties! It's coming! The Moriac Primary School Parent & Friends NUTHIN' BUT NINETIES! BYO food, drinks at bar prices, silent auction on the night! Please see the poster for further details!